It may drive you crazy if you come across some issues when downloading YouTube videos on your 64 bit PC. These problems may be caused by the incompatibility between your computer and the YouTube Downloader you are using. Want to tackle such problems once and for all? The fundamental thing is to find a great 64 bit YouTube downloader that will work well with your computer. Here is a good option for you — iTube HD Video Downloader. It is fully compatible with 64 bit computers and supports Windows 10/8/7/XP/Vista and Mac OS 10.6 or later. You can also use it as a converter to convert YouTube videos to other formats in order to play on your portable devices. Can’t wait to have a try now? Follow us to check how to use it below. Step 1 Install the 64 bit YouTube downloader iTube HD Video Downloader. First download and install 64 bit YouTube downloader on your computer. Remember to choose the right version, Windows or Mac. And then launch the program to get ready. We will take the windows version as an example. Step 2 Download YouTube videos. Go to YouTube to find videos you like and open them to play. And copy the URL of the video from the address bar and click the + Paste URL button on the program to start the video download. Alternatively, remember to play the videos on one of the following three browsers: Firefox, IE or Sarafi. Mouse over to the top right of the video screen to find a Download button. Click the button to start downloading the video. After the videos are downloaded, you can find them in the Downloaded library. If you want to convert them to other formats, just click the Convert button on the right of the video to add the downloaded video to Convert List. 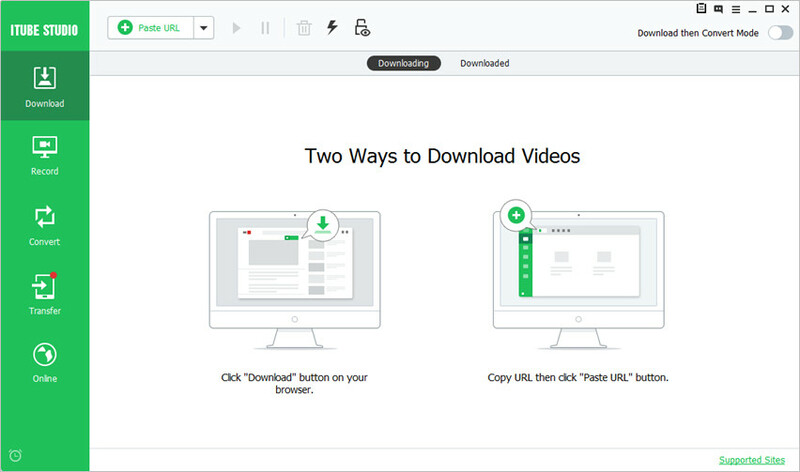 Then you can convert the video to any file type you want with one click. Note: You can have this program download and convert videos automatically through some settings. Click the Download then Convert button in the header of the primary window and select a format. Then the next video downloaded will be automatically converted into the format you have selected. Finally, you can find the video under the "Finished" library with MP4 format and the target video with your desired format in the "Converted" library.